Emerson Inn, located just a mile outside of downtown Rockport on Pigeon Cove, is Cape Ann’s only historic grand hotel. Purchased by Migis Hotel Group in 2015, Emerson Inn has been completely renovated and rejuvenated to cultivate a unique hospitality experience. Our thirty-six rooms have been restored to reflect the quality of past times, with modern amenities that travelers seek today, including private balconies, flat-screen televisions, complimentary WiFi, and an outdoor seasonally heated pool. Pigeon Cove Tavern, Emerson Inn’s new onsite restaurant, exemplifies casual yet fantastic north-shore cuisine. Under the direction of Chef Doug, a Cape Ann native, Pigeon Cove Tavern serves only the freshest ingredients from local farms, locally-sourced seafood, and highlights popular craft brews, a selective wine list, and creative cocktails. 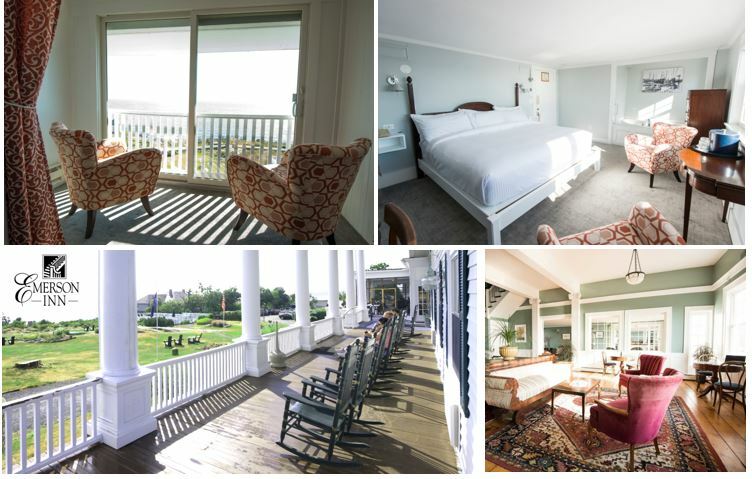 Whether you’re looking for a weekend getaway in Rockport, an oceanfront venue for weddings or business events, or just a casual parlor to enjoy a drink by the sea, experience the unparalleled romance and intimacy of our Rockport hotel.